HA NOI (VNS) — Coach Hoang Anh Tuan has called up six new players for the national U19 football team. The team is preparing for the 2016 AFC U19 Championship qualifying stage. Besides the new recruits, Tuan kept 23 players who won silver medal at the 2015 ASEAN Football Federation's U19 Championships in Laos on September 4. The young guns include Nguyen Van Toan of Viettel, Nguyen Huu Lam of Thanh Hoa, Nguyen Duy Khanh of Lam Dong, Nguyen Cong Thanh of Dong Thap, Thanh Chung of Police and Tran Thanh Son of Hoang Anh Gia Lai. 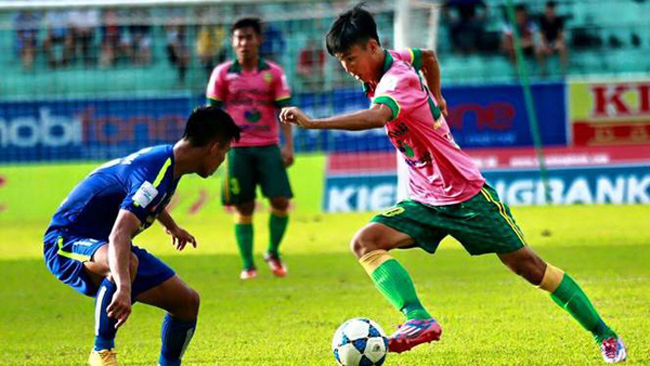 Seventeen-year-old striker Thanh has played 18 matches for Dong Thap in the national premier league and scored five goals, becoming the youngest player to ever score in the top flight. Tuan dropped Vietnamese-American Kevin Nguyen who is on trial at Hai Phong, saying he didn't have time to evaluate Nguyen. The team began their two weeks of preparation at the national youth football training centre in Ha Noi yesterday. The U19 team will have one international friendly match and three friendlies with domestic teams, Tuan will then select the best 25 players for the qualifying round from September 28 to October 6 in Myanmar. A total of 43 teams including finals hosts Bahrain will compete in the qualifiers, divided into two zones – the West Zone which has 25 teams and the East Zone with 18 teams. Viet Nam are in East Zone's group G alongside Myanmar, Hong Kong, Timor-Leste and Brunei. Ten group winners and the five best second-placed teams will qualify for the finals while hosts Bahrain qualify automatically.